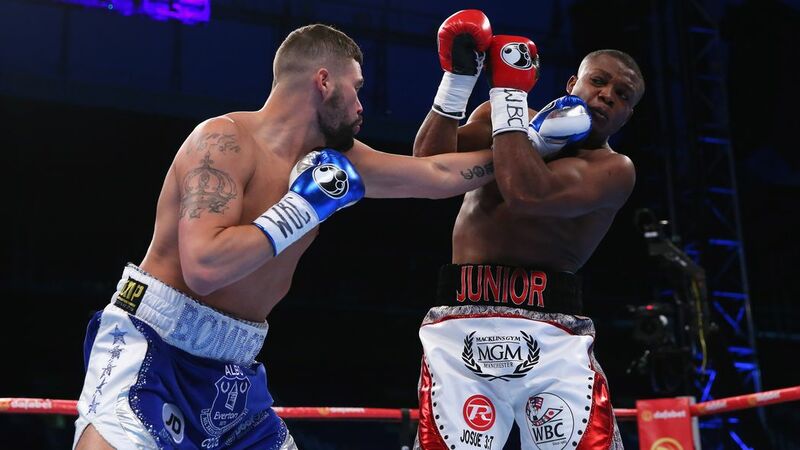 Tony Bellew (27-2-1, 17 KO) inflicted a vicious beating on Illunga Makabu (19-2, 18 KO) to win the World Boxing Council cruiserweight title on his home turf at Goodison Park. Having failed at two previous attempts, the 33-year old now accompanies Denis Lebedev (WBA, IBF) and Krzystof Glowacki (WBO) as cruiserweight titlists. In doing so, Bellew was saved by the bell in the opener. The short, stocky and powerful Makabu had shown reluctance to engage but then capitalised on Bellew's desirous attitude as a straight left sent the Liverpudlian crashing to the canvas. David Coldwell, the trainer of Bellew, deserves immense credit for his corner work. Constantly stressing the importance of composure, intelligence and discipline inside the pocket, Bellew had ignored him. However, showcasing his clear but perhaps underrated talents, Coldwell composed his emotional fighter and sent out sensible instructions. And to his own credit, Bellew delivered in the second. A superb barrage of shots alone secured him the round that saw neither fighter commit to any substantial measures, and one which saw Makabu acknowledge the height of the task ahead with a touch of the gloves and look of respect towards his opponent. Following into the third, Bellew increased the volume. A range of varied attacks prevented the savvy, calculated Makabu from landing any meaningful counters. Rather, when Makabu then changed his gameplan and cornered Bellew, he found himself locked onto the defensive after a hurtful left hook hit home. Then, when the visitor invited Bellew onto the inside, his fate was sealed. Helplessly leant against the ropes, Makabu's head swayed from side-to-side as Bellew unloaded with brutal, full-blooded punches. Failing to evade any shots, Makabu's legs buckled, he never replied to the onslaught and referee Victor Loughin halted proceedings before the 28-year old collapsed to the canvas. As Goodison erupted, a dream came true. 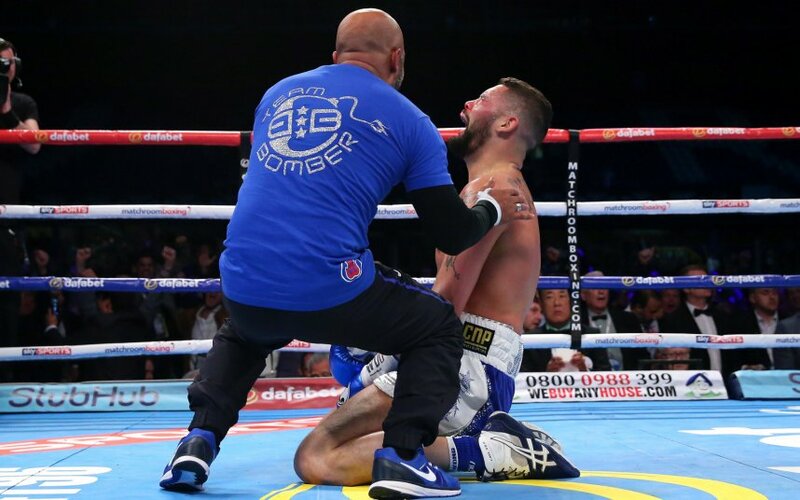 Sagging to his knees, Bellew embraced with trainer Dave Coldwell subsequent to an array of his entourage pouring into the ring and joining in on the celebrations. 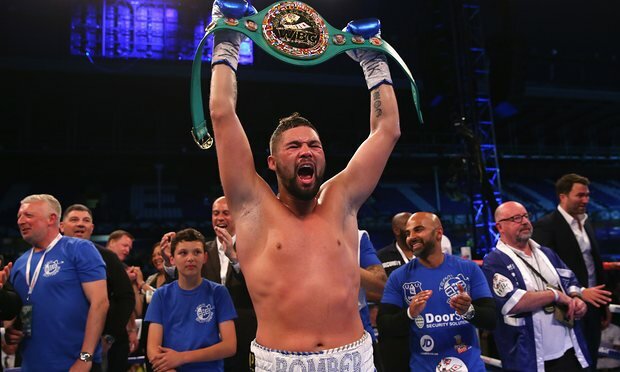 Against the odds, Tony Bellew delivers the performance of his life to become the cruiserweight champion of the world.